BODE -READY FOR HIS FOREVER HOME NOW Bode is a very handsome Pointer /Boxer mix, about 1 1/2 years old. who was found abandoned. 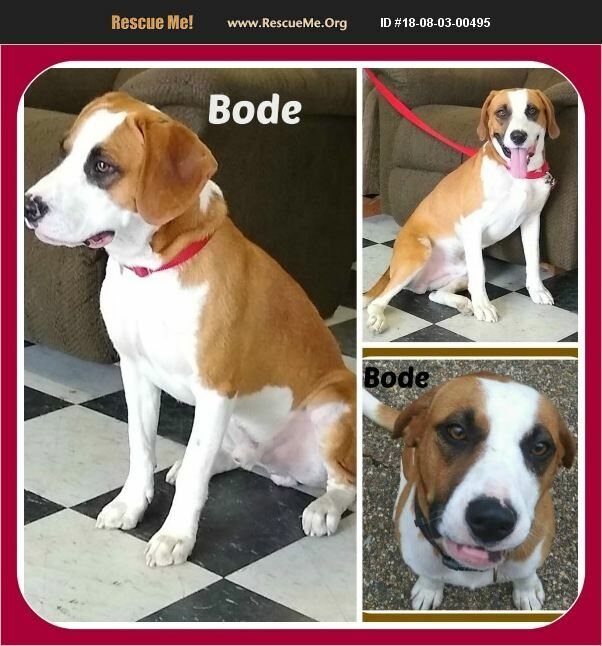 Sweet Bode wanted nothing more than a friendly face, a safe bed and some dinner. He is now happily staying in a foster home where he is getting lots of attention, companionship and lots of healthy food! Bode gets along with the other dogs in his foster home and he loves every body he meets! He is neutered, up to date on his shots / preventatives and is house / crate trained. He loves to play and, if he had some kids to play with, he would be in heaven! Due to his size, children 8 yrs and older would do best. Bode was born to have fun and just loves being loved by the other dogs and people. And, he will sit so nicely for a treat! He has the most beautiful coloring, too. Bode will make a wonderful family fur baby.,, he is so sweet! He even has had his DNA analyzed so you will know all about him!! !